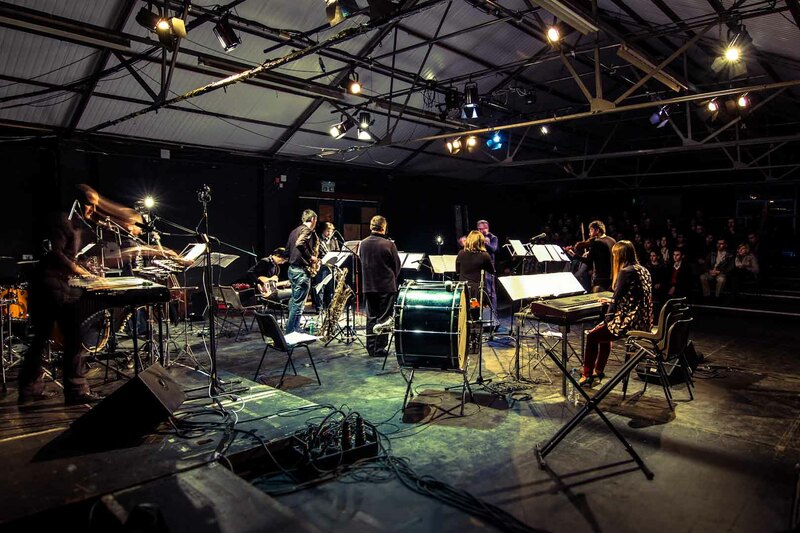 Presented each year by Birmingham Conservatoire’s Composition Department, Frontiers brings together leading names at the cutting edge of sound. Past guest artists have included the likes of Errollyn Wallen, Xenia Pestova, Philippe Hurel, Gavin Bryars, Rhys Chatham, Warren Smith, BCMG and Howard Skempton. Frontiers also showcases the amazing work of the Conservatoire’s student composers and musicians with many exciting premières and collaborations resulting in ground-breaking work, exclusively performed for the festival. Recent successes include Emily Wright’s Beethoven’s 5th – a one woman orchestra playing the first movement of perhaps one of the most instantly recognisable pieces of music, on nearly 40 different instruments. Birmingham composer Anna Palmer’s interdisciplinary project, Treading Water, used the beautiful gothic Moseley Baths as both its subject and instrument to highlight the plight of the endangered community building in an immersive collaboration of music, soundscapes and dance.